How often do you hear that the ‘health and safety culture’ cannot be resisted? That fear of litigation makes people unwilling to accept the slightest possibility of accidents or injuries? The implication is that risk benefit assessment (RBA) – the balanced approach to risk management that I and others have developed – is a waste of time. This is why I am pleased to share the news that the charity Hackney Play Association has successfully fought off a claim after a playground accident, and that RBA was crucial to the outcome. The details were released yesterday on the Play Safety Forum (PSF) website – see below. It is obvious that children’s play experiences and everyday freedoms are hugely shaped by the places where they live. So anyone who cares about these issues should also be concerned about the qualities of neighbourhoods, towns and cities, and about how they are planned, designed and built. Human habitats are changing fast. In particular, cities are growing and changing faster than ever before – and more and more children are growing up in cities. How should play advocates, and advocates for more child-friendly places, respond to these changes? This post tries to answer that question. Let’s say that, like me, you are signed up to the idea that we’ve become too overprotective and anxious about children in their play. What language should we use to make the case for a better approach? In particular, does the word ‘risk’ – for instance, in the term ‘risky play’ – help or not? Although ‘risky’ and ‘adventurous’ are, in a sense, synonymous, the latter word has an unarguably more positive meaning. It also captures much better the essence of children at play – wanting to push the boundaries, test their limits and, sure, take some risks – but in the pursuit of fun and excitement, not the reckless endangerment that the term ‘risky play’ can evoke… ‘Risky’ cannot be the most appropriate word to describe the opportunities and environments we want to provide for them, or the practice we adopt in doing so. 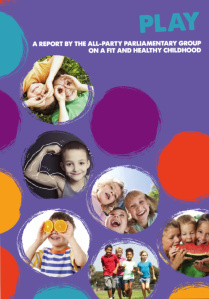 Positive news from parliament for the first time in a long time, with the launch of a new report on play from the All-Party Parliamentary Group on a Fit and Healthy Childhood. Central to the report is its call for the promotion of play as part of a ‘whole child’ strategy. 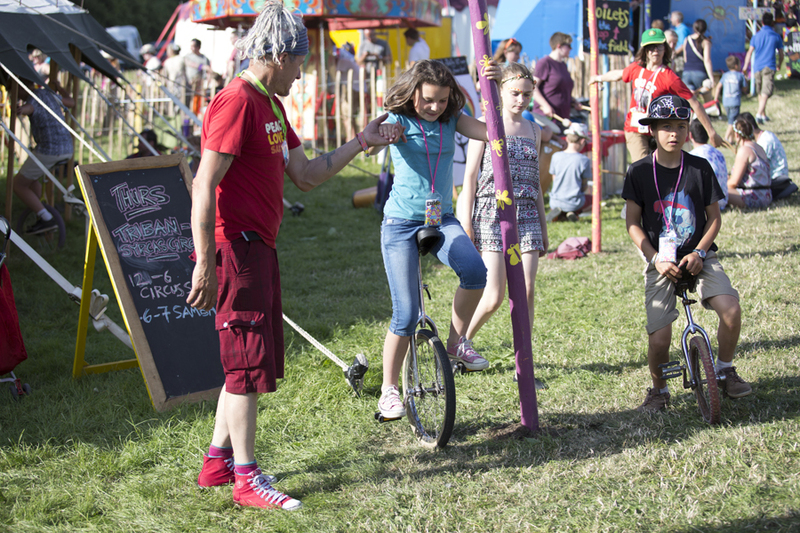 Read more on the website of Adrian Voce, former director of Play England. A Parliamentary report on children’s play, published today, calls for play to be at the centre of a ‘whole child’ approach to health and wellbeing. The All Party Parliamentary Group on a Fit and Healthy Childhood, chaired by Baroness Floella Benjamin, today launches its long-awaited report on children’s play. Announcing the report, the group says that ‘whilst there is broad consensus about the importance of physical activity in the battle against obesity, play (policy) has lost political momentum in recent years and the report calls for a fresh approach’. Can you help me find people whose lives have taken a different direction after going to the Kidzfield at the Glastonbury Festival? I am doing some work for the Kidzfield organisers, and am looking for stories of the difference it has made over the 21 years since it was created (yes, it came of age last week). Is North America on the brink of a play renaissance? I am excited to announce that in three weeks I will be embarking on a coast-to-coast speaking and workshop tour of Canada. It will take in BC (Vancouver and Victoria), Alberta (Lethbridge and Calgary), Ontario (Niagara and Toronto) and Halifax, Nova Scotia. There is a near-final itinerary near the end of this post.